‘Twas a lovely Beltane morning bringing up the sun with the Morris dancers at the Baylands. 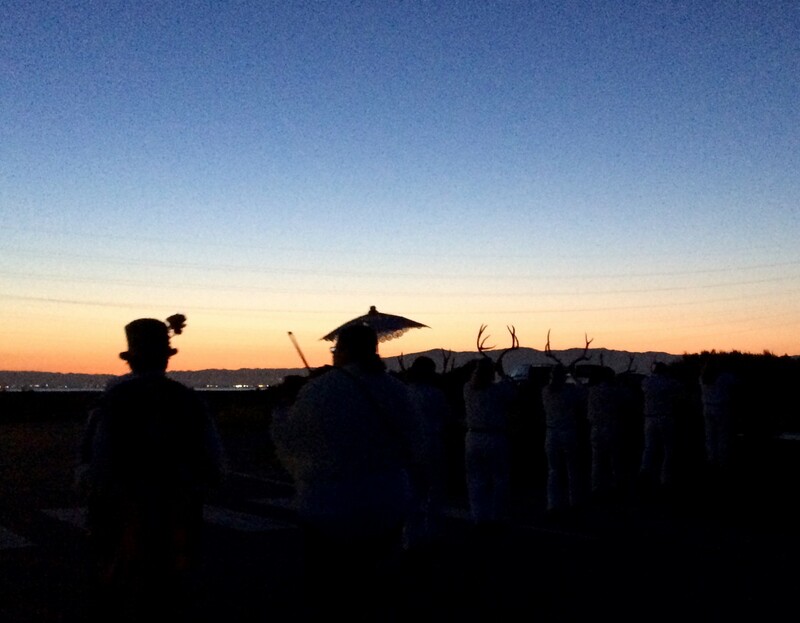 When we wake at 4 a.m. to roll out of bed for this sunrise ceremony of frolic and awe, we grumble and wonder at ourselves, but what if the sun did NOT rise because we were too lazy to help the dancers see it up? 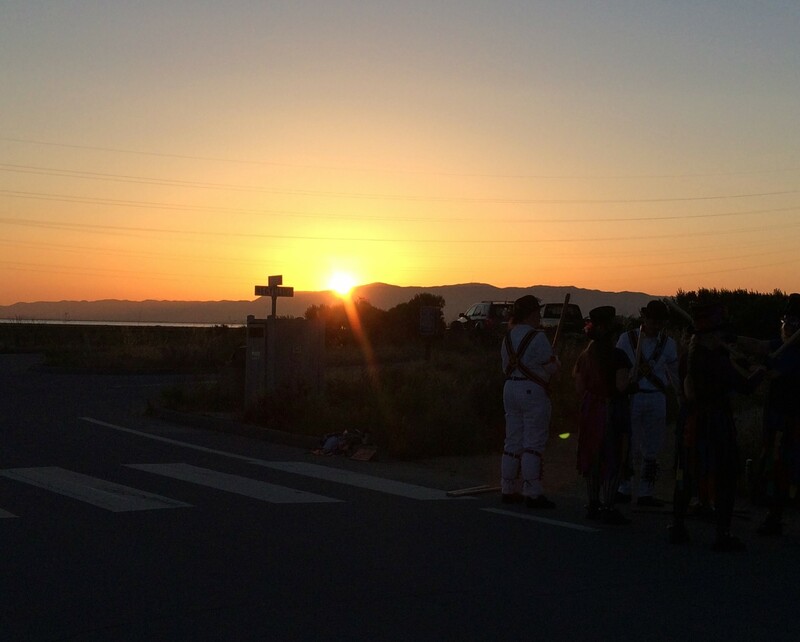 My preparations for Beltane this year were sweet, and cautious. Taking some time off from my calligraphic creative work, I’ve spent the whole weekend honoring the turn of the Wheel, tending the altar and feeling the magic of summer’s arrival, another kind of creative work for me. After last year’s tumble down some stairs at the liminal time of dusk, I was feeling a bit wary and last night took care to offer a bit of milk to the Good People and ask for protection. Perhaps it is all superstition, but who wants to take the chance? With a nod to my Irish ancestors, I spent some time with Lady Francesca Speranza Wilde (Oscar Wilde’s mum) and her book, Ancient Legends, Mystic Charms and Superstitions of Ireland (1887). 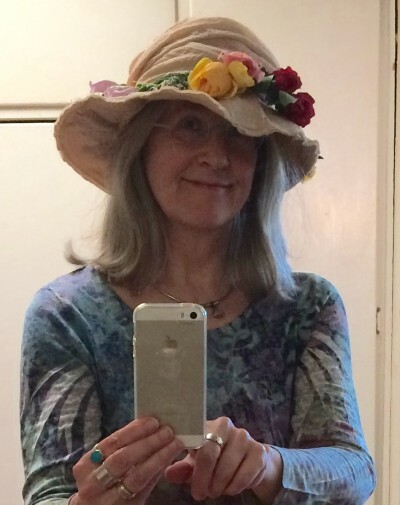 Another blog, Living Liminally, also offered some ideas. And I garlanded my hat with garden flowers: roses, foxglove, yarrow and lavender: traditional herbs and pretty poisons. This most ancient practice, in its many forms, is a kind of charm to bring harmony between the human and natural worlds throughout the year. I spent some time reading the lore I love at these festival times of year, and was especially impressed with “May Day, Beltane, and the Menace of May Eve” since it has plenty of history, particularly about the traditional protections I was interested in invoking. 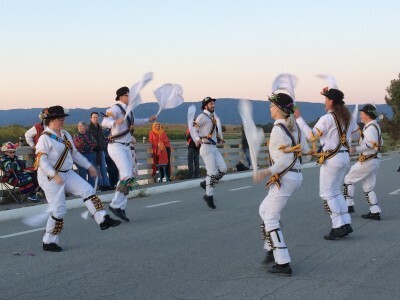 I was delighted with the professor’s quotation from one I consider to be practically a primary source: “Morris dancing was a widespread seasonal spectacle, as noted by Shakespeare in All’s Well That Ends Well (1602-3): ‘A pancake for Shrove Tuesday, a morris for May Day’, and even today there are Morris dancers at dawn . . . to welcome – or conjure – in the summer.” Whatever would we do without our poets to remind us of the old ways? Here’s another, lovely, lovely . . . The horn dancers and mummers began the festivities. Mad Molly brought an appropriate amount of shouting and crazy costumery. 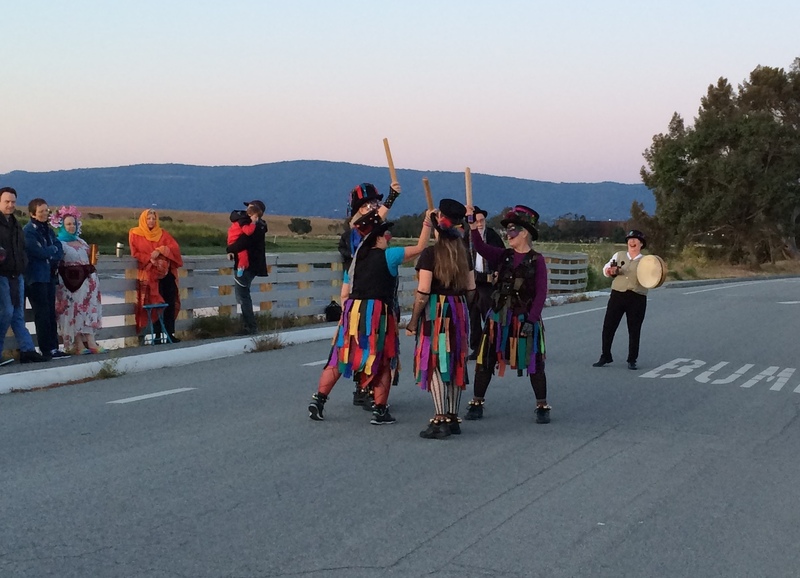 Deer Creek Morris men and women did a very fine job, and all together, we . . .
After our bit of dawn conjuring, we went and ate pancakes. Bringing in summer is hungry business! I think I can hear the music…. Cari–have been enjoying your posts–thanks for bringing beauty into my life. Thank you, Conni. Thank YOU for reading!